Includes hotel accommodations and rental car. *Price is total for 4 people (based on double occupancy) and both price and availability are subject to change and are not guaranteed until completed through the booking process. This package is completely customizable and offers much flexibility in the day to day activities! As you continue our journey up the coast you discover the Village of Ogunquit - which means "Beautiful Place by the Sea" in the language of the Algonquin Indians. A visit to the lively Perkin's Cove is definitely in order. This miniature working lobster and fishing village is chock full of wonderful little shops, restaurants and art galleriers. There is a walking drawbridge, a beautiful walkway along the ocean (known as The Marginal Way) and numerous boating excursions that sail from Ogunquit harbor's docks. Ogunquit is also home to a 3-mile stretch of near perfect beach sand. Another attraction not to be missed is the Ogunquit Playhouse, one of the last remaining summer stock theaters, which attracts big name stars each season. Kennebunkport is a world famous town for vacations. Visitors come from all over the world to see the beautiful Maine coast, the classic seaside village of Kennebunkport, to walk the beaches and watch the boats, to stay and play where Presidents, artists and fishermen all call home. If you are looking for the true charm, history and hospitality of Kennebunkport, staying at a Kennebunkport Inn or a Bed and Breakfast will provide a personal touch, a warm welcome and sense of belonging as you visit this celebrated Maine town. What's nice about staying at an Inn or B&B in Kennebunkport is that you are likely to meet the innkeeper, often the owner, and learn much more about the town and the best places to go and dine during your stay than you would at a bigger hotel or resort property. Innkeepers love to share their knowledge of Kennebunkport, which is a treasure trove of galleries, boutiques, hidden beaches, boat tours and scenic inspirational walks. You may learn more about Kennebunkport over breakfast from your innkeeper, after all, it is a bed and breakfast, than you would in any Maine guidebook. 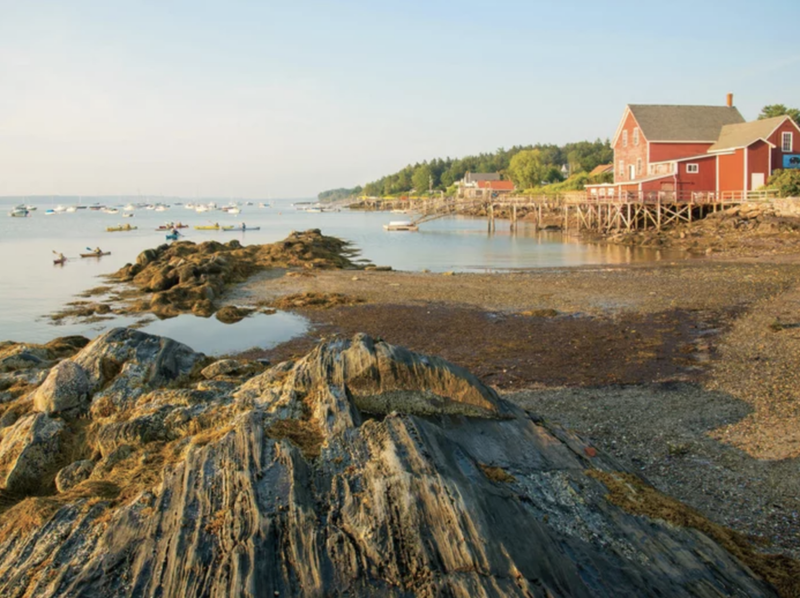 On Maine's mid-coast, the rugged coastline is so dotted with lighthouses and picture-perfect seaside villages that it's impossible to describe them all here! Boothbay Harbor, Camden, Rockport and Rockland are just a few of the many delightful Mid-Coast Maine towns. Enjoy schooner rides, whale watches, lobster boat tours from any of these spectacular harbors out to beautiful lighthouses like Seguin Island and The Cuckholds, and Penobscot Bay - a true boaters haven. 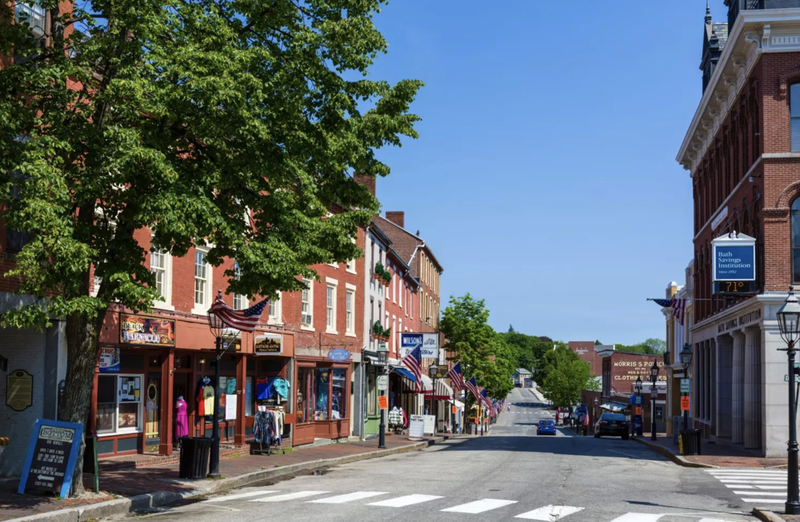 Although smaller than sister town Camden, the town of Rockport has become one of the hidden gems of the mid-coast Maine region. It was even named one of America's Prettiest Towns by Forbes Magazine. The laid-back town atmosphere makes it perfect for visitors looking to enjoy a relaxing and peaceful weekend in a beautifully scenic setting. Rockport's location is also ideal, as it marks the halfway spot between Kennebunkport and Bar Harbor. Sail the Maine Coast aboard Schooner Yacht HERON, a 65' John Alden designed Classic Schooner Yacht. Experience the thrill of sailing a classic wooden schooner. HERON is fast and steady as she sails among the pristine islands of Penobscot Bay. The Schooner Yacht HERON is truly the finest day sailer in the fleet. Quality sails offered daily. Enjoy Maine's tastiest Lobster Roll lunch, educational Indian Island Lighthouse/Eco tour or a relaxing Sunset Dinner Sail. Private sails, group and custom charters also available. HERON is family built, owned and operated by the Bower family of Camden, Maine. Bar Harbor is known for its stunning coastal beauty, its many yachts and lobster boats, and its view of islands and ocean in settings that can range from glistening sunlight to thick fog and mist. It slows our lives down so we may appreciate nature and the relationships with those in our lives whom we love even more. This is a community where people live in harmony with the land in which they live. Bar Harbor is a lifestyle, an aspiration, and a very special place. 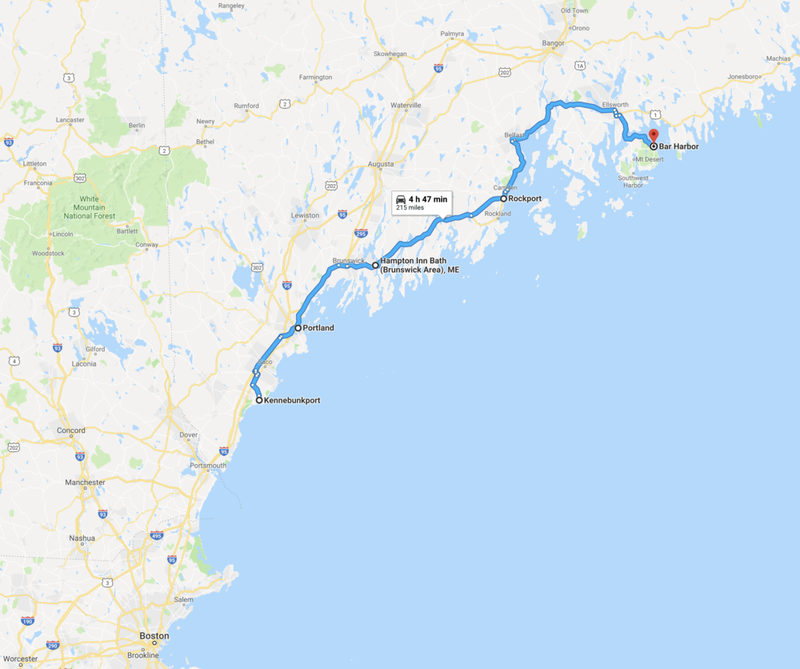 It is the center of activity for many island visitors seeking a variety of shops, restaurants, taverns, hotels, or bed and breakfasts as well as easy access to the forests and shores of Acadia National Park. Acadia National Park is an American national park located in the state of Maine, southwest of Bar Harbor. The park reserves most of Mount Desert Island and its associated smaller islands along the coast of Maine. Initially designated Sieur de Monts National Monument by presidential proclamation in 1916, the park was renamed and re-designated as Lafayette National Park in 1919. The park was renamed Acadia National Park in 1929.More than 3.5 million people visited the park in 2017. Acadia National Park is the oldest national park in the United States east of the Mississippi River.